Within wave .iii. 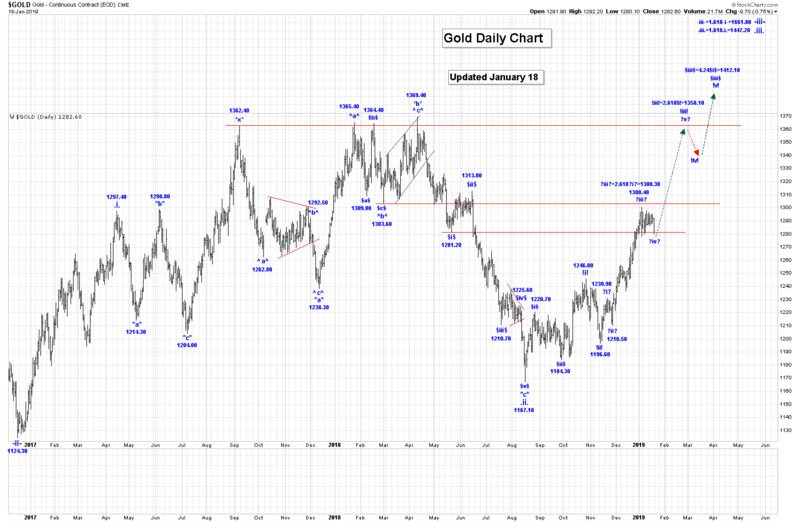 we continue to work on our first impulsive sequence, as shown on the daily gold chart. We have taken a very bullish approach and are working on the assumption that only wave ?iii? ended at the 1300.40 high and that we are now correcting in wave ?iv?. On the intraday chart it now looks like wave ?iv? has become more complex than just a simple bullish triangle, and we should expect gold to move back to at least the 1278.20 level, before wave ?iv? ends. We do have higher projections and wave .iii. should subdivide into a 5 wave impulsive sequence in its journey higher. This triangle pattern will only be eliminated if we now trade below the 1278.10 low. Even if this triangle pattern is eliminated the trading patterns on the intraday chart still suggest that the drop from the wave ?iii? high of 1300.40 is corrective, which supports higher prices ahead! 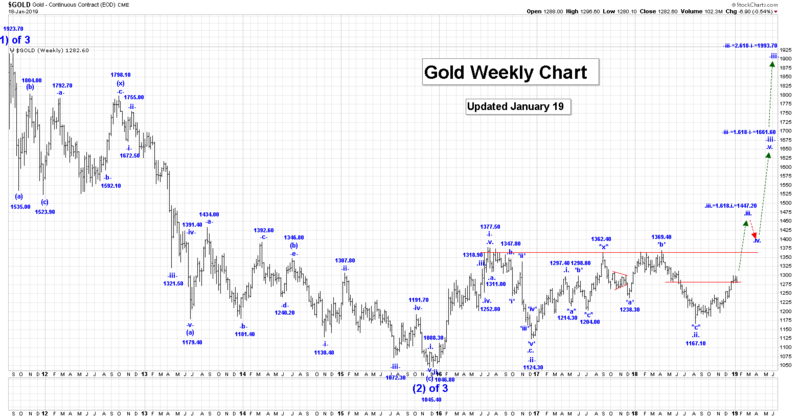 Trading Recommendation: Go long gold. Use puts as stops. It is looking like we should see one more push after the current high of 53.31 to complete all of wave *a*. In the short term we have now shown a possible 3 wave pattern within wave (b), and if this pattern is what crude is doing, then all of wave *a* of (b), could now be complete at the 53.31 high. Upon completion of wave *a* we expect a wave *b* setback that will then be followed by another rally in wave *c* to complete all of wave (b). We are expecting that wave *b* should retrace between 50 to 61.8% of the entire wave *a* rally. Of course, wave (b) could become much more complex than we are currently suggesting also. As we are rallying in a wave (b), we expect price action to be choppy. 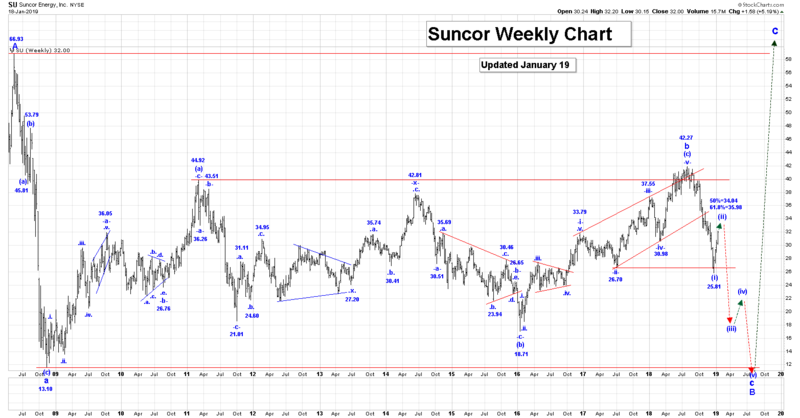 Suncor has confirmed that all of wave (i) is complete at the 25.81 low and that we continue to rally in wave (ii). 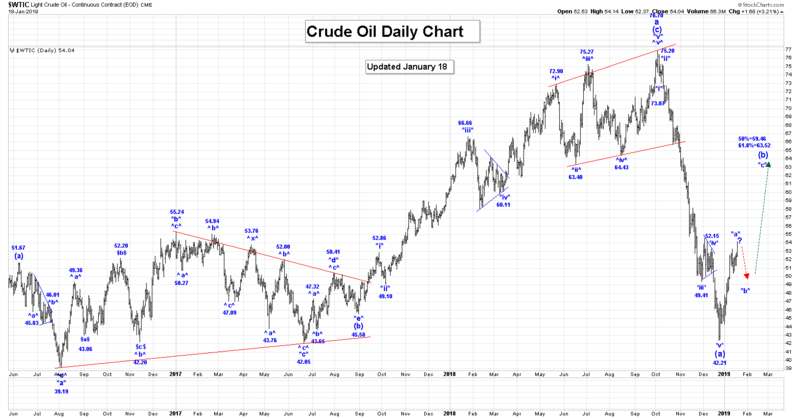 As a minimum the wave (ii) rally will have at least one 3 wave pattern, and is crude has now completed wave *a* of (b), then we should except that Suncor has completed its first leg higher within wave (ii), at the 31.34 high. Trading Recommendation: Go long oil with puts at 57.00 as a stop. Active Positions: Long with puts at 57.00 as a stop! Free Offer For 321Gold Readers: Please send me an Email to admin@captainewave.com and I’ll send you our key “Silver Surge: Is This For Real?” report! We focus on a powerful silver stock as well as key short and long term charts for silver bullion. We include tactical approaches to make money on the current wave counts action!